Our AGM will be held at the CWLL Office at Kelly Reserve on Thursday, 8 November from 6pm. This is an opportunity to reflect on the previous 12 months and look to the future of Landcare in the Parkes and Forbes Shires. We have had a fantastic week of activities celebrating the Aussie Bird Count and National Water Week. We are fortunate to be able to partner and deliver events with committed volunteers and people who are passionate in their roles. These events are a wonderful opportunity to be educating our young people about our environment and the positive things that they can do to make a difference in our community. I will have a wrap up of the weeks activities in next weeks article. 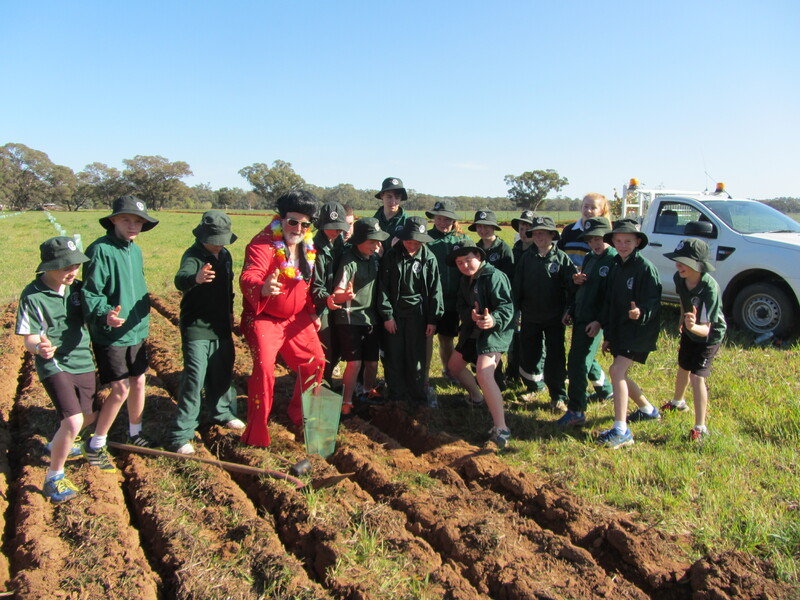 I know that after spending time with children at events in Parkes and Forbes over the past few months that we have a very intelligent generation coming through who will have a totally different perspective on the environment, farming and waste and we are fortunate to be able to share with them and learn from them to give us a different perspective. There is just one more event that we have running this week. On Friday, 26 October, we will be spotting woodland and water birds and checking out the habitats that they live in with the National Parks Association Lachlan Valley Branch at Bushman’s Dam (Kelly Reserve) in Parkes and walking through to Bushman’s Hill. Both children’s walks require parental/caregiver participation. Please RSVP for these activities to 02 6862 4914, cwllpo@hotmail.com or text 0418 611 053. I would like to mention that the Biodiversity Conservation Trust are holding information sessions in our area for Lachlan Corridor Conservation Tenders. These sessions are being conducted for landholders interested in earning annual payments to conserve biodiversity on their farm. Staff from the BCT will be providing an overview of who they are, what Conservation Tenders are, who is eligible and the process to take part. Information sessions are being held in Forbes and Condobolin. In Forbes sessions will be held on Wednesday, 31 October between 1.30 – 3.30pm and Thursday, 15 November between 12.30pm – 2.30pm at the Forbes Services Memorial Club. At Condobolin sessions will be held in the Blue Room at the RSL on 1 November, between 8.30am – 10.30am, and on Wednesday, 14 November between 6pm – 8pm. Registration can be made via Eventbrite or call Denise Allen on 6365 7770 or Denise.A.Allen@bct.nsw.gov.au or click here. 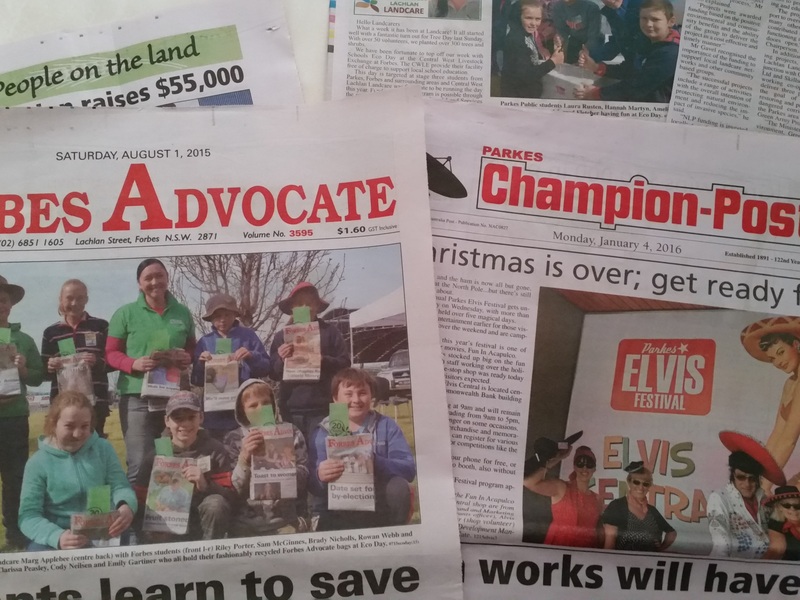 Looking At Landcare (19/10/2018) -The Bird is the Word!